Lexmark E232 E238 E240 E330 E340 Toner - 12A8305, 34015HA, 12A8405 - This Lexmark E232 toner is a high yield version of 24015sa, 24035sa, 12a8400, and 12A8300. 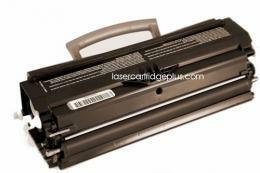 This Lexmark E330 toner is a compatible E238 toner cartridge. Print Color: Black. For use in Lexmark E230, E232, E232t, E234, E238, E240, E242, E330, E332, E332n, E332tn, E340, E342 printers. Also for use in Lexmark X340, X342 MFP, IBM 1412, 1512 printers.